Vaastu deals with designing and building and living environments that are in harmony with the physical and metaphysical forces. Building practices based on limited interpretations of these principles are still sustained in parts of India. Vaastu tries to harmonize the flow of energy, called life-force (Prana) through the house; it differs in the details, such as the exact directions in which various objects, rooms, materials etc. are to be placed. Normally we used Vaastu principles for every construction, building and location, but in the modern context as the culture of flats, malls and pent houses are booming, we have to think again for balancing the energy and harmony of the construction without disturbing and alternating the main structure. Do you know that your birth chart shows not only about your life aspects but also about your property aspect, such as-placing, dimension, colour and structure? 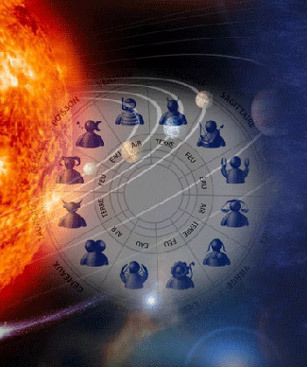 In fact there is a great connection between your chart and house and we will help you to gain property according to your birth chart, so that you can enjoy harmony in all your life and if you have already your house and you are facing problems because of construction and placement. We will also help you to overcome from such problems. Through some changes of house articles and uses of specific colour and yantra, we will make you know to get maximum energy, vitality and harmony in your house. We will also give you some tips for festival’s celebration for maintaining happiness in your home. In this report we use your birth chart and give you correct report to choose right direction, colour, and placement of things in your house. This report also consists information about your present property, it’s problem and solution. This is pure report, based on analysis of your property. It contains all the positive and negative points of your property (residence, office, and shop), measures to solve problems of property by using colours, mirrors and fragrances. © 2009 Shailendra Pandey (the astrologer). All Rights Reserved.